With over 10 years of experience as head of campus security, James Waldon was appointed Director of Public Safety at Rider on Jan. 14. His last employment was the Director of Campus Safety and Transportation at Southern Vermont College in Bennington, Vermont. “During my career, I was assigned to the U.S. Marshal’s Service, Fugitive Task Force and the U.S. Bureau of Alcohol, Tobacco and Firearm,” said Waldon. Not only has he done his fair share in the workplace, Waldon excelled academically as well. Stasolla led the search working closely with Rider representatives to fill the vacant position. Not only was it important for the staff to do a thorough search for who the next candidate would been, but Stasolla also stressed how important the student’s views on this task are. “It was important to us that students be involved in the interview process along with those who work closely with Public Safety throughout the year,” she said. Many students are excited to have another officer on staff. Waldon has some ideas in mind about how he thinks he could better the Rider community. 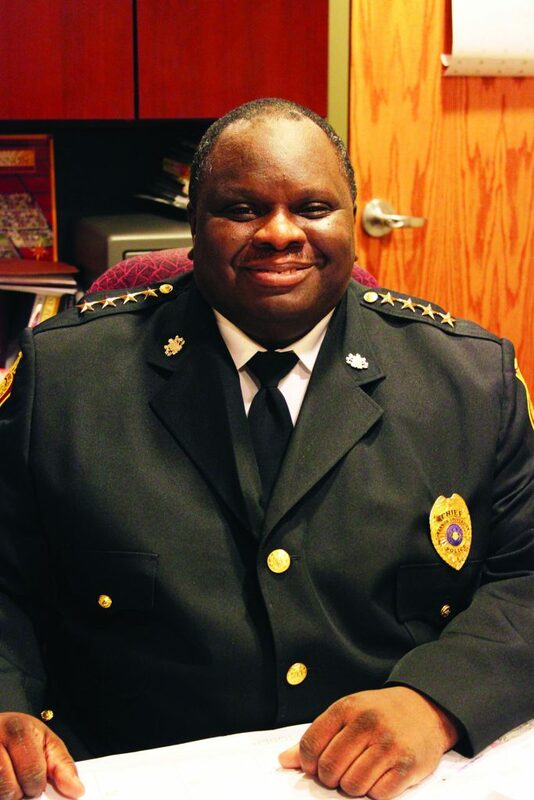 New Public Safety Directer James Waldon appoined on Jan. 14 after an indepth interview process.